Argo is a free to play PVP focused conversion from ARMA 3. 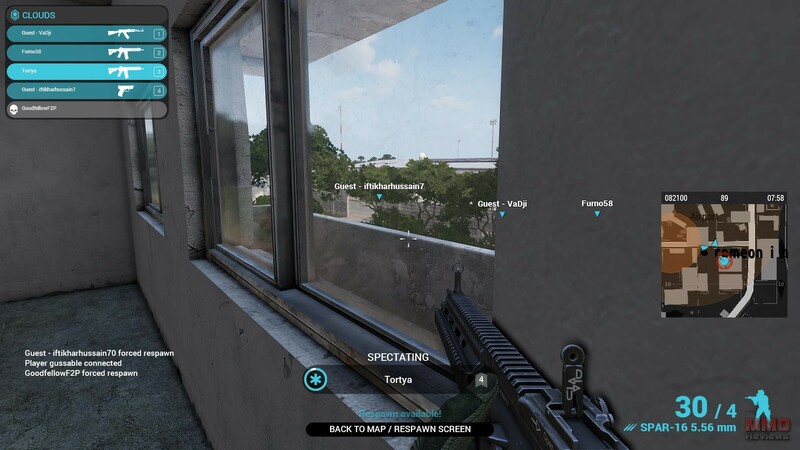 This standalone first person shooter allows players to experience that classic ARMA 3 gameplay in a quick match environment. Battle in 5 vs 5 matches or a 10 person coop vs AI across various modern day maps. Level up, earn credits and points, and use them to acquire skills and unlock new equipment for your characters. The game focuses on a PVP oriented shooter vs two key factions: Cloud and Flames; duke it out in 5 vs 5 matchups against players of all skill levels. Set on the 62 km2 Mediterranean island of Malden players will fight across multiple modes and various mapped areas ranging from more urban locales to open planes and areas of interest. Alternatively battle alongside up to nine other players and go head to head against the challenging advance AI in a co-op game mode. The combat system leans more towards a realistic simulator as opposed to a fast-action shooter, with players needing to take cover, work as a team and strategize. One of the key elements of the game is the difficulty mode; players can play in either Easy or Normal difficulty setting games. With Easy mode players are given a variety of on screen markers, HUD information such as remaining bullets, health, on screen locations of allies and more. Normal mode removes these crutches to make a more realistic experience, where even other players in combat are not flagged as friend or foe with coloured names or tags, so players must keep an eye on their own minimap for their allies positioning. Raid (PVP) – The attacking team must locate terminals that spawn around the map and download intel three times before time is up, whilst the defenders stop them. The airdrop reduces the round time (defenders) and reveals terminal locations (attackers). After the match is over the teams swap sides. Clash (PVP) – Advance across a map as the attacking or defending team and try to capture or defend various sectors. The highest scoring player on the previous round’s winning team will choose the next sector to attack. Players cannot respawn in a round; however the airdrop will grant spawns (attackers) or reduce round time (defenders). Link (PVP) – Players must both capture and hold various nodes, only able to activate them if already possessing a previous linked node. Teams can capture certain nodes that grant points over time, or the Main node which grants points to the owning team for the number of players in the area. Teams start with 5 respawns each, earning more per enemy kill. Combat Patrol (PVE) – A variety of missions across different areas versus the advanced AI patrols; recover info from terminals, destroy vehicle targets and infiltrate locations in this 10 player co-op match. Players are able to advance their characters by playing matches and earning points and credits. Points are used to level up, each time a player levels they acquire a skill point that they can spend on the skill tree and unlock access to new gear purchased with credits. Only a set number of skill points can be earned and so players must spend them wisely, choosing their preferred skills based on their playstyle and the types of weapons they want to use in combat. As only so many skills can be unlocked points server a second purpose and will determine a player’s position on the leaderboard. Looking for more Free MMOFPS,Free MMOs games?